There’s a chill in the air, the evenings are getting shorter, and the leaves covering the lawns are changing from gold to bleary brown. Coupled with the sudden influx of flyers for costume shops and candy discounts, it can only mean one thing: Halloween is right around the corner! Here is our eerie itinerary of twisted traditions and freaky fun. Note: During the day, Six Pines is a family fun freak show, but at night it turns into an R-rated fright fest for adults only. Getting lost in a corn maze is already a can’t fail fall tradition, but A Maze in Corn kicks things up a notch with their Haunted Forest. Those brave enough to venture into the woods at night will want to leave a trail of breadcrumbs — we’re told the forest comes alive with macabre monsters who can’t wait to feast on your screams. And even if you’re there for a daytime visit, you can still enjoy the nearby pumpkin patch, petting zoo and zip-line tours. More maze-related fun — this time just north of Winnipeg, where Murray’s labyrinth includes visits to the Tower of Terror, hearse of horror, the Headless Horseman, and a gruesome guillotine. During the day, there’s also a petting zoo and hayrides — not to mention a rather ominous sounding Black Hole. Prepare yourself for an unforgettably hair raising Terror On 12 experience! 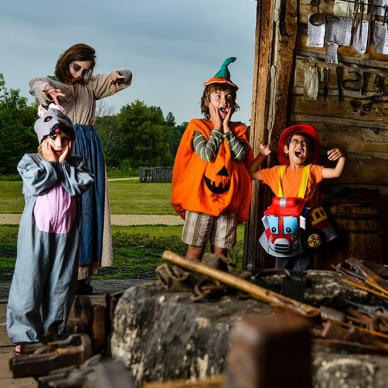 It’s time to put your courage to the test with new and unexpected twists and freakishly frightening features as you attempt to make your way across the haunted estate for an interactive ghostly adventure. Should you succeed, treat yourself to hot drinks and food on site. The Lower Fort Garry penitentiary has been overrun and the most heinous inmates are on the loose. Enter Fright at the Fort: Prison Break at your own risk and encounter locals and North West Mounted Police officers as they try to keep order and try to end the bloody rampage of escaped convicts. Watch your back, because you could be the next victim. If you survive, finish your evening with a visit to the Thirsty Beaver Tavern! 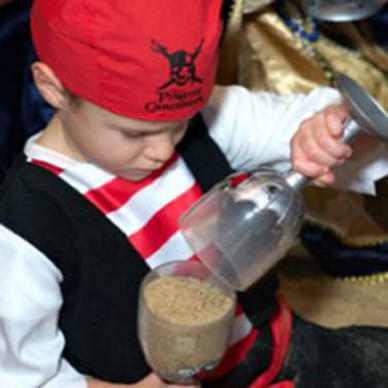 Calling all pint-sized trick o’ treaters for an afternoon of silly scares and fun at Lower Fort Scary. 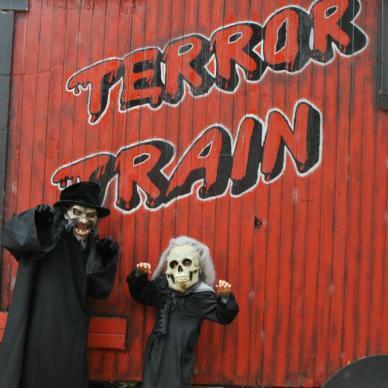 Hop aboard the Scary Express as you head towards adventure. 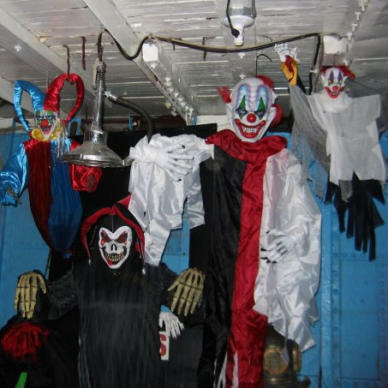 Find ghosts hiding in the fur loft, be amazed by the magician’s tricks, explore the witch’s pantry, have your face painted or dig in and do a Halloween craft. Hop on the haunted bus to see some of Winnipeg’s scariest spots on a Haunted Winnipeg Tour. 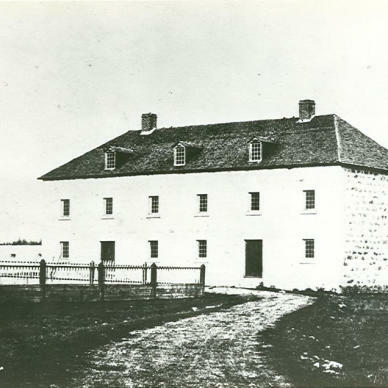 These tours include visits to the Vaughan Street Jail, Manitoba Museum, the Fort Garry Hotel and other spooky sites. 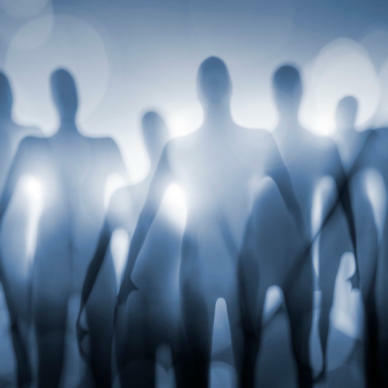 Sign up before it’s too late and join in on the most unique paranormal tours in Canada where you will not only hear of ghost tales but also try your hand at communicating with the dead. Be warned, these tours are not for the faint-of-heart. 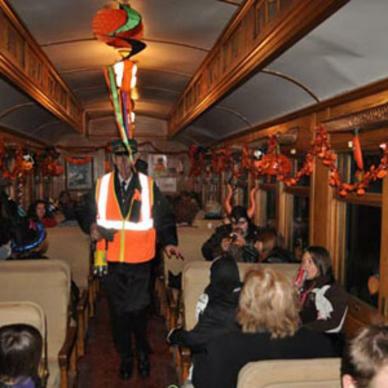 All aboard for a family friendly Howlin’ Halloween Express or Igor’s Spooktacular Brunch train rides! Keep your eyes peeled for Igor as he makes his way through the coaches choosing his favourite costumes and awarding prizes and goodies. 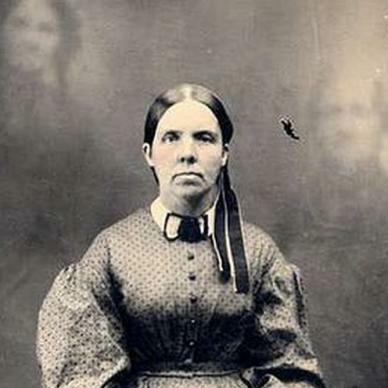 Haunting spirits, creeping zombies and cawing ravens will keep you company as you trick or treat on a Ghost Walk through the candlelit Sleepy Hollow Museum Village. 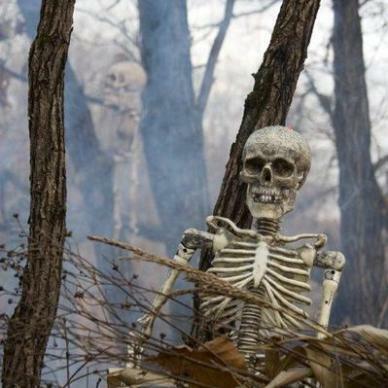 You’re invited to dress up in ghostly garb, walk through the Living Dead Forbidden Forest, gather around the cauldron or meet the spooky villagers. You can also make and take your own Halloween craft, enjoy free hot chocolate and sweet treats. Trick-or-treat around the Museum’s ghastly galleries, participate in spooktacular activities, try out a few ghoulish crafts, and enjoy fangtastic family entertainment. Join the Aircraft Graveyard Tales tour and see haunted airplanes, unidentified flying objects and the unfortunate final flights made by some of the aircraft in their collection. Tours are held at 2:00 p.m. on Tuesdays, Thursdays and Sundays. 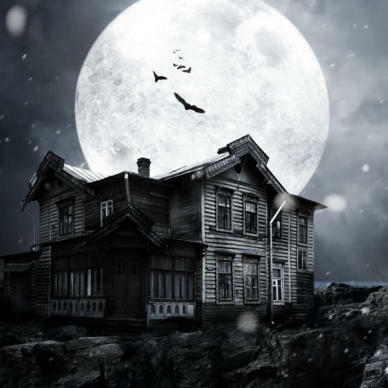 The hangar is a perfect setting for a haunted evening of ghost stories about haunted planes, UFOs and other mysteries with spooky music and trick or treating. There will be candy for the kids. The event starts at 5:30 p.m. and is FREE to museum members and $6 for non-members. 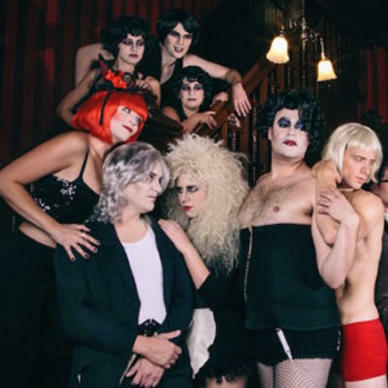 Get ready to do the time warp… again…at the epic cult hit Rocky Horror Show! This ultimate cult classic is a humorous tribute to sci-fi and horror B movies of the late 1940s through to the early 1970s. It features an all-Winnipeg cast and crew. A concert morphs into a scary movie! Nerdy Mr. Kirby, doesn’t believe in the magical power of music. But when the conductor waves his magic baton, strange things begin to happen. 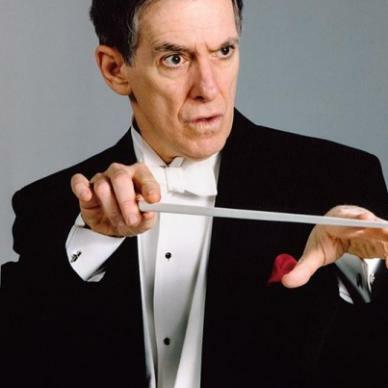 Kids and adults alike will delight in Dan Kamin’s antics as he is “haunted” by the timeless music of Grieg, Leroy Anderson, Strauss and others. 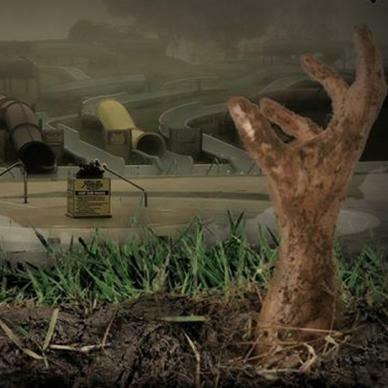 Tours of Terror await you in our National Park at Fright Night! 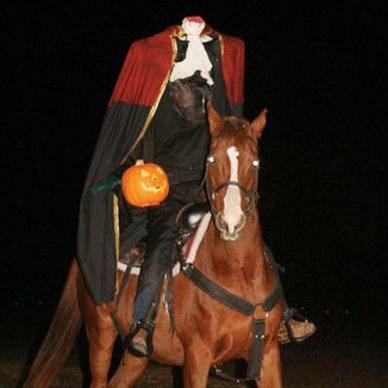 The sights and sounds of this creepy annual event will test even the bravest of souls. While the teens and adults scream in horror on the tours, the kids can watch Halloween movies and play games. Admission is by donation and doors open at 7:00 p.m. Calling all ghosts and goblins! It’s that spooky time of year again to hunt for creatures of the night and find out how to stop the evil witch from casting her magic spell. 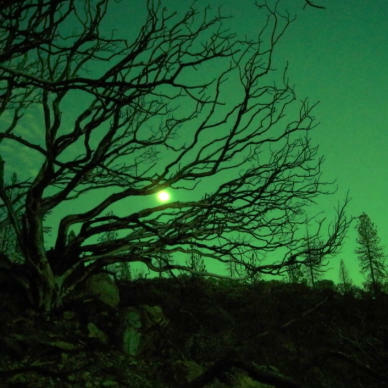 Wear your costume, if you dare and take a spooktacular night hike through the forest. There will also be face painting, a campfire, crafts and haunted forest. For a small fee the Birds Hill Park Ranch will be offering hay rides throughout the event. Event runs from 7:00 to 9:00 p.m. Explore the dark side of Oak Hammock Marsh. 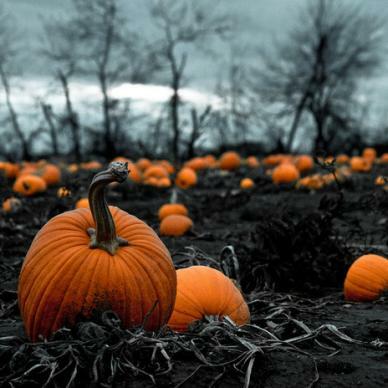 Go on a guided marsh walk and learn the grim story of this wetland…OR…decorate your own pumpkin or gourd and learn to make fabulous designs without the sticky mess. 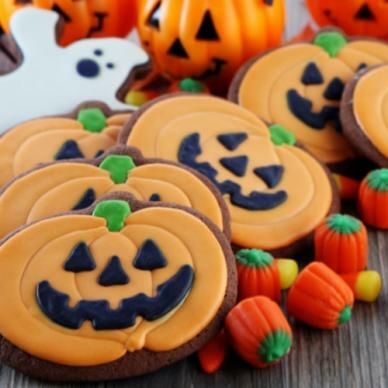 Candies will be given to whoever comes dressed up in their best Halloween costume. 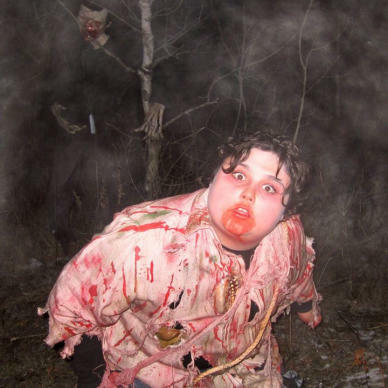 In September, when the park closed for the season, a toxin from the deadly Manitoba mosquito began to change people into what some are calling zombies. Rebel guides are ready to take those who are looking to tempt fate to Not-So-Fun Mountain for Fear the Sliding Dead. You will run. You will scream. You will fear! Hope you have a frightfully fantastic one!